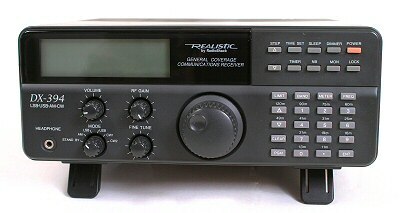 The Realistic DX-394 was probably the least expensive tabletop receiver in the marketplace at the end of 1995. It soon acquired a poor reputation after several very negative reviews. This reputation was rightly deserved as the designers made many fundamental design errors in the analogue circuits. They soon acknowledged this fact and released a second redesigned 'B' version which addressed some of its design imperfections. However Its digital performance is excellent with lots of front panel features. 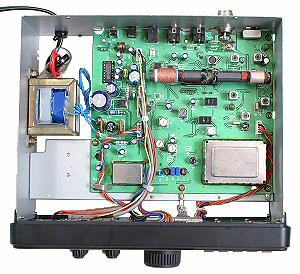 The modifications presented here are a mix of ideas from the web, with some new ones from Chris Barlow ( G8LVK ) Senior Technician at Monitor Internet. 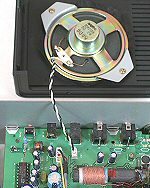 The mods mostly use inexpensive readily available components, resistors and capacitors. You should not attempt any of the mods unless you feel confident in your soldering and construction skills. Also you must have all the tools and facilities to perform each modification. The information, circuit diagrams and photos should help you easily and successfully improve the performance of your DX-394. New modifications and ideas are continually under development so keep visiting this page. A Fan Club for the Tandy / Radio Shack / Realistic DX-394 General Coverage Communications Receiver. Most complete collection of mods, documentation, FAQ (frequently-asked-questions) and links to relevant sites. Hints and Tips from a helpful community of enthusiasts. Always disconnect the DX-394 from the mains power supply before opening it. To remove the top and bottom covers you simply unscrew the four small black cross point screws located on the back of the receiver. 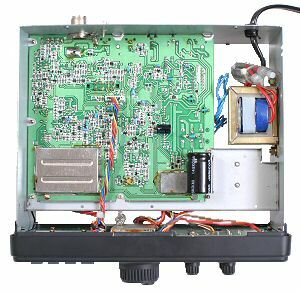 When taking off the top cover mind the speaker wires, see photo. Look for the connector block CN7 and unplug this to remove the loudspeaker from the main board.